Unification Church poet and historian, Mr. Kwang Yol Yoo has been director of the Cultural Department at our church's headquarters in Seoul for 27 years. 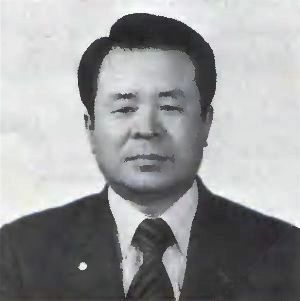 He joined the Unification Church in December 1954 in Seoul. A graduate in modern literature and Korean literature from Seoul National University, Mr. Yoo has also been president of the Sung Wha Publishing Company. Three books of his poetry have been published, and he is currently compiling Unification Church history. One of the 430 couples, he and his wife and five children; two daughters are blessed with Americans, Richard Cohen and Tom Field. We look up to heaven. That holy place, that peaceful place, that place where God dwells. It's as far away as the numerous days of human history. The grass, trees, and flowers sing in chorus night and day. And all people have all that they want. And our Parents' fervent desire. It is the common will of all beings, too. Even now you are rich. The whole world sees you that way. Even the richest people of the world know you are. Now you are poorer than anyone. And yet you think you don't do enough. The earth is filled with work to do. You are struggling alone to deal with it all. And no one knows your heart as you struggle alone. Heaven and earth have to be saved. All the people have to be saved. As you walk this way, your flesh is torn and your blood flows. You have lived that way all of your life. Now you work even harder. Who now face even greater difficulties.